Your deer rifle's a real tack driver, but what happens when the bullet hits the bone? 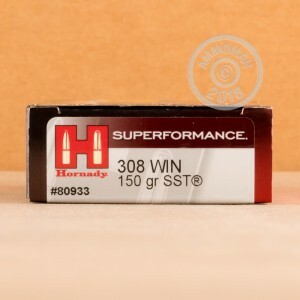 A quick clean kill, if you're using Hornady Superformance ammunition. 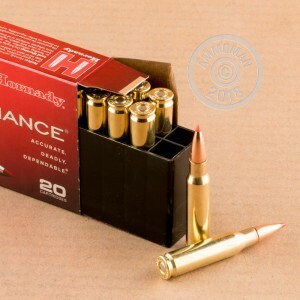 These cartridges fire a 150 grain SST hollow point bullet. The SST is a locked-core design with an aerodynamic polymer tip that combines dependable weight retention with excellent penetration and expansion against game. 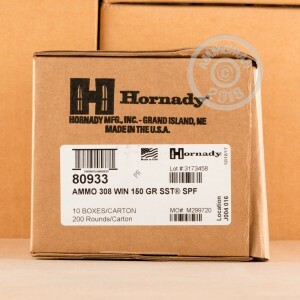 Rack up some serious savings with free shipping from AmmoMan.com--simply place an order over $99 to qualify.